Former President and first lady Bill and Hillary Clinton are set to attend the inauguration of Donald Trump on Jan. 20, 2017, aides told NBC News Tuesday, Jan. 3. Donald Trump's inauguration as the nation's 45th president will be witnessed by Bill and Hillary Clinton, as well as George W. Bush. Clinton aides confirmed to NBC News Tuesday that the Clintons will be in attendance. 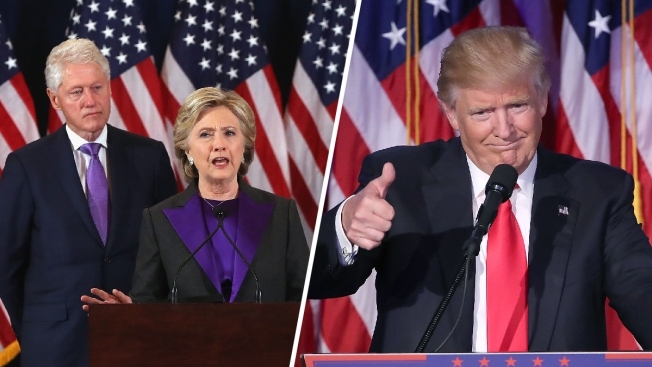 Hillary Clinton lost the Electoral College vote to Trump after a bruising, bitter campaign. The 2016 Democratic nominee for president has made few public appearances since conceding the race to Trump, when she told supporters, "We owe him an open mind and a chance to lead." Bush's press office announced Tuesday that the 43rd American president and his wife, Laura, will be at the Jan. 20 ceremony. 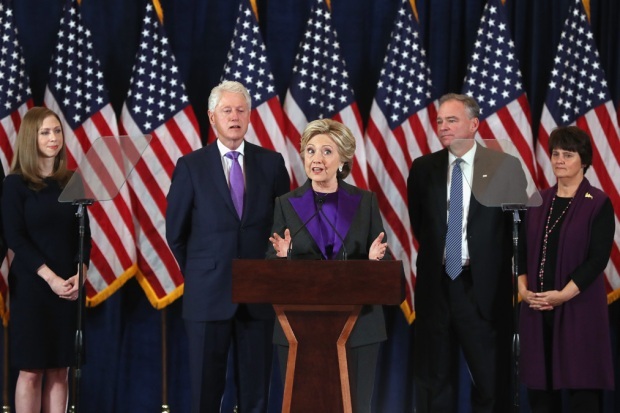 Hillary Clinton admitted the loss was painful but urged supporters Wednesday to accept the outcome of the election and continue working together toward a better America. "They are pleased to be able to witness the peaceful transfer of power - a hallmark of American democracy - and swearing-in of President Trump and Vice President Pence," a Bush statement said. The Bushes did not endorse or vote for Trump for president, leaving that field blank on their ballots while voting Republican the rest of the way down. The Presidential Inaugural Committee's announced Friday the 40 organizations, including several military and veterans groups, that will march in Trump's inaugural parade.